No. 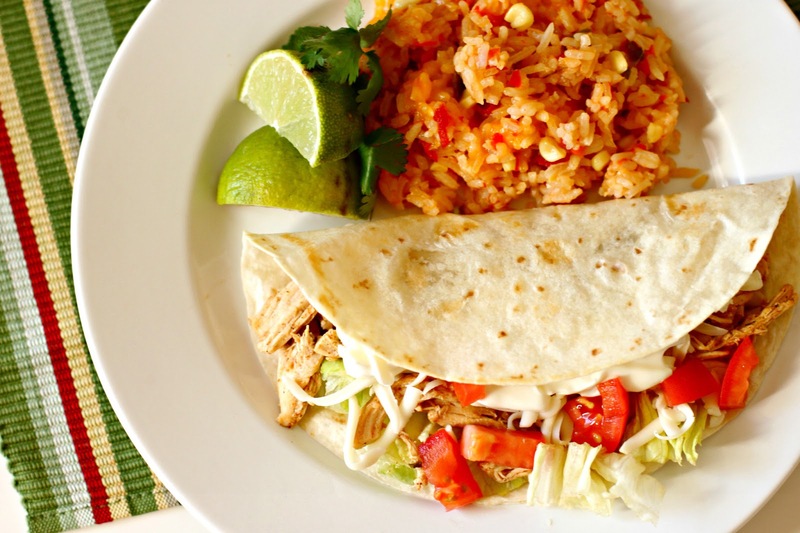 3 Slow Cooker Saturday is a recipe for these super yummy Shredded Chicken Tacos. So two taco-type recipes in one week. Taco Soup and now these Shredded Chicken Tacos. I am guessing that you are figuring out that we like tacos. We are a family of taco-eaters and we came from families of taco-eaters. Hubby's parents ate tacos early on in their marriage and have continued the tradition. My mom lived on Taco Bell during the majority of her six pregnancies. Tacos were any easy and affordable meal to feed both of our families of six. 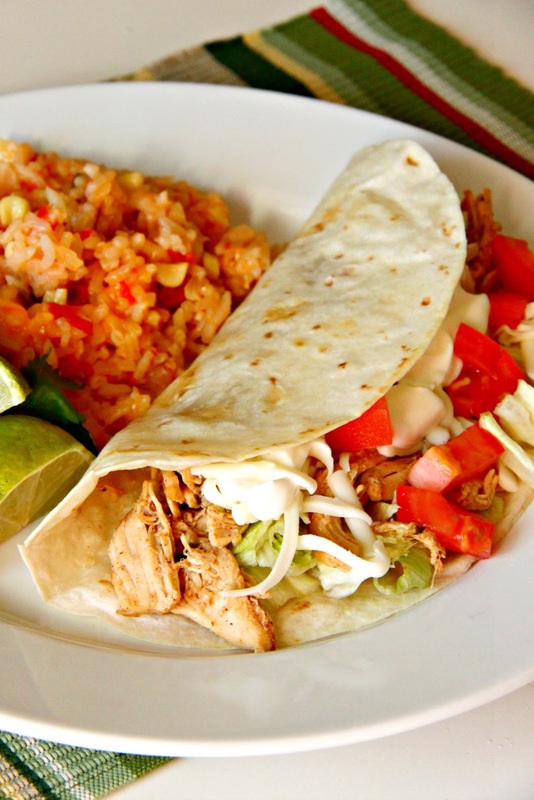 Now as we raise our own family, tacos have continued to be a staple in our family meals. The tacos have evolved a bit over the years. To traditional tacos we have added Carnitas, Shredded Pork, Teriyaki, and now Shredded Chicken. We make this dish a lot...which totally supports the "we like tacos" thing. 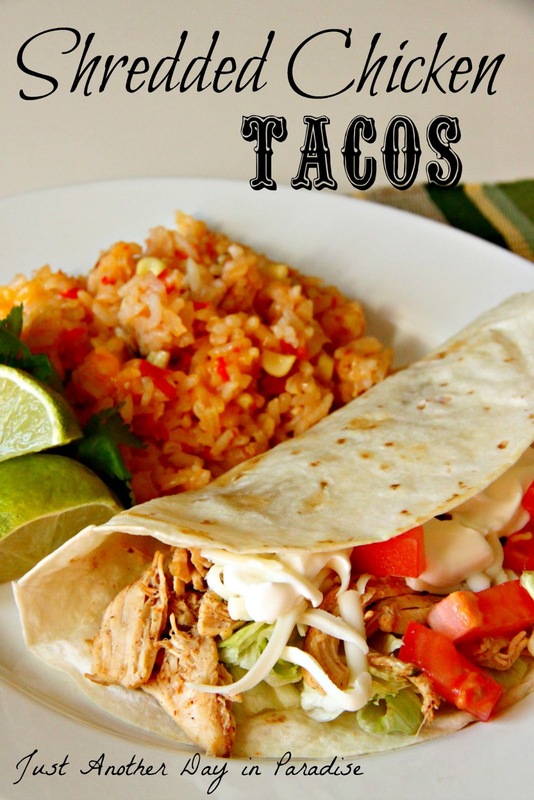 It is made up of only a few ingredients and you just throw it in a crockpot and let it go.Nothing could be better. Okay eating Chocolate and not getting fat would probably be better. 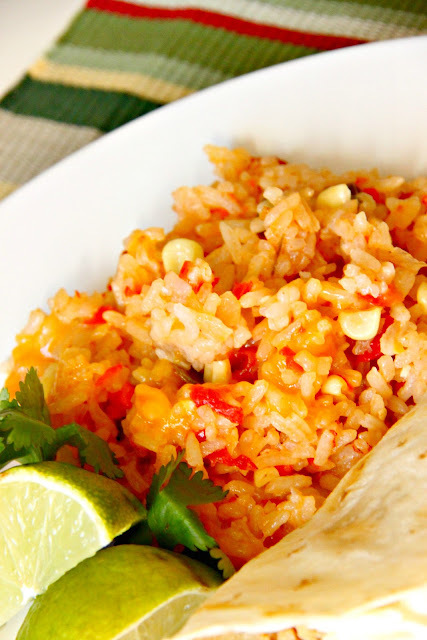 We have paired these tacos with fresh pineapple, Honey Lime Fruit Salad, tortilla chips, and most recently, this uber yummy cheesy Spanish rice. I will share the recipe next week. All in all, this is a simply delightful little Mexican meal. Dare I throw out a festive 'Ole? Place all of the ingredients in the crockpot. Cook on low for 7-8 hours or on high for 4 hours. Shred chicken and place back in the crockpot for 30 minutes. 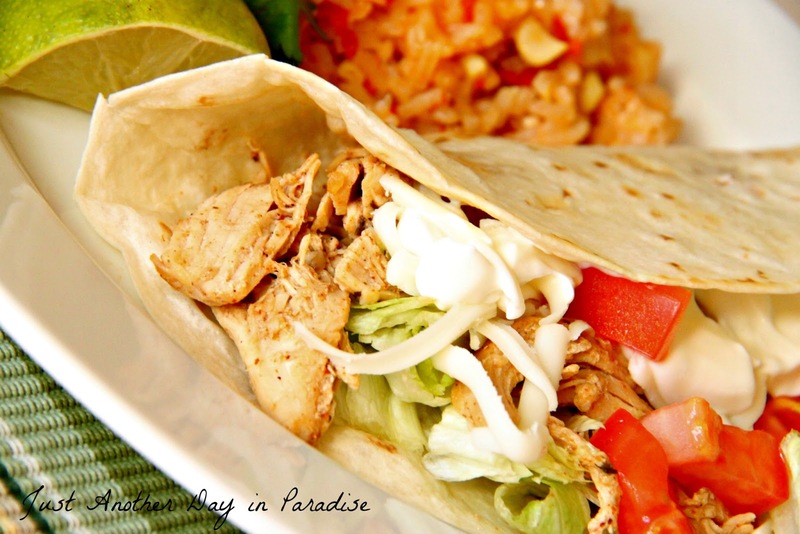 Serve on tortillas with shredded cheese, lettuce, tomato, and sour cream. Saved your recipe to make soon. Mmmm...I'm going to try this one minus the spices that make it "Mexican" because K won't like it. (Yes, I live in Mexican Food Nirvana Land and she doesn't like it...sad) So essentially these will be more of a shredded chicken wrap--I'll let you know! 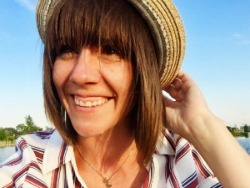 Colleen, that is funny. Well I am sure they will be yummy either way. Love you guys! I love your recipes! One request, on your recipe page that compiles all of your tasty dishes, could you make a category for your slow cooker recipes? I was just thinking about that. I will get on it asap! I'm excited to try this recipe. Can the chicken be frozen? Thanks! You can, but it might take longer to cook AND it might be more dry.